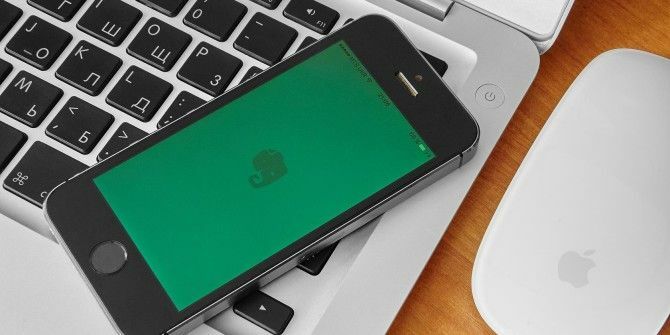 Are you still using Evernote? Kudos! The company has been through some major trials and tribulations over the last 12 months, and many users have jumped ship to OneNote How to Migrate from Evernote to OneNote, and Why You Should How to Migrate from Evernote to OneNote, and Why You Should Do you think that Microsoft OneNote is better than Evernote? Or maybe, it just suits your project management style. Either way, here's how you can migrate all your notes from Evernote to OneNote easily. Read More . But alas, OneNote isn’t right for everyone Evernote vs. OneNote: Which Note-Taking App Is Right for You? Evernote vs. OneNote: Which Note-Taking App Is Right for You? Evernote and OneNote are amazing note-taking apps. It's hard to pick between the two. We compared everything from interface to note organization to help you choose. What works best for you? Read More . So if you’re still using Evernote, you’ll no doubt be aware of one missing feature — a glaring omission for a supposedly full-featured note-taking app. I am, of course, talking about archiving. Why isn’t there a simple, native way to archive your old stacks for posterity? Even the paid tiers don’t offer this feature. Luckily, there are a couple of workarounds. Tags: You could just create a new tag called Archive and attach it to all your old notes. Of course, the drawback is you’ll need to type -tag:Archive on all your searches to exclude the notes from your results. Prefix: Prefix the names of notebooks and stacks with an X to send them to the bottom of your lists. This keeps them out of the way… somewhat. If you’re looking for a more elegant solution, you could check out Evernote’s IFTTT channel. For those who don’t know, IFTTT is a free web app that lets you automate tasks using chains of conditional statements. When an event happens in one app, an action is triggered in another. On the Evernote channel, you’ll find an applet called Archive notes in Google Drive when you label them with a specific tag. As the name suggests, you just add a tag to the notes you want to archive and Evernote will automatically save them in a Google Doc file. Once the save process is complete, you can delete the note from your Evernote account without worrying about losing it forever. What other IFTTT recipes do you use with Evernote? Let us know in the comments below.